Reliance Jio has now announced the free live streaming of India-Afghanistan test series and FIFA World Cup 2018 on the JioTV app. The test match between India and Afghanistan will be live streamed on the platform starting June 14, while the FIFA World Cup 2018 will also kickstart from tomorrow and continues until July 15, 2018. JioTV will live stream the entire football matches during the period. 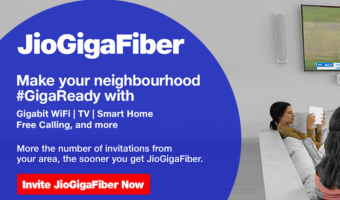 Furthermore, Jio also stated the JioTV now has over 100 million users, and in the coming few days, the company will announce more surprise offers. 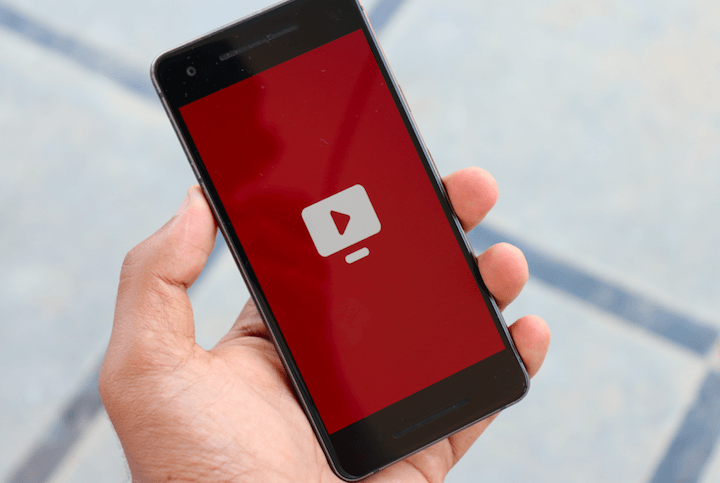 As of this writing, the Reliance JioTV app in Google Play Store has over 100 million downloads, and the same application is available for iOS users as well. Jio’ subscriber base as of March 31, 2018, stood at 186.6 million and it’s not a surprise to see the app has over 100 million users. For the unaware, JioTV is Reliance Jio’s Live TV service with over 550 Live TV channels under its portfolio and the list includes more than 100 HD Live TV channels. Having said that, JioTV offers content in 13 different languages- English, Hindi, Malayalam, Kannada, Tamil, Telugu, Bengali, Gujarati, Bhojpuri, Punjabi, Assamese, Odia & Urdu. The live streaming of the FIFA World Cup 2018 comes as a massive announcement for Jio users and more importantly, Jio has just increased the data benefit on its prepaid tariff plans by 1.5GB daily data. The Rs 149 prepaid plan of Jio now gives 3GB data per day, which will be more than enough to watch an entire football match every day. 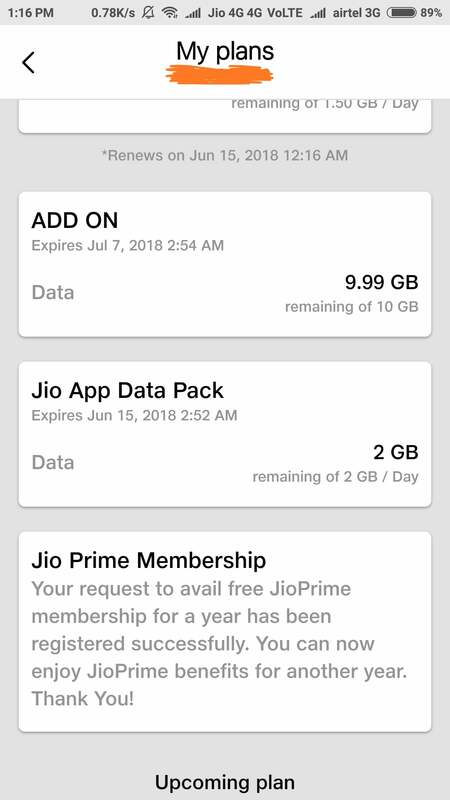 The additional data benefit offer is valid until June 30 and the plans are now live through MyJio app as well. 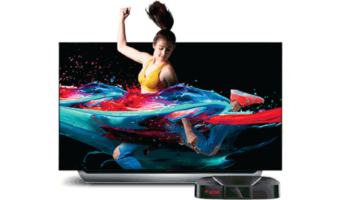 Speaking about the JioTV application, it comes loaded with features such as seven-day catch-up TV, pause & play Live TV channels, set reminder for an upcoming programme, record your favourite shows with a single tap, instantly rewind & forward for 30 seconds on the player, mark channels & programs as favourites, Picture-in-Picture mode and so on. JioTV service is available as a free one to all the Jio subscribers on a valid recharge plan. Jio needs to start their on mobile version of TV channels across different categories such as comedy, music, educational, infotainment areas in all Indian languages . This will be a good source of attract local advertisers and income. 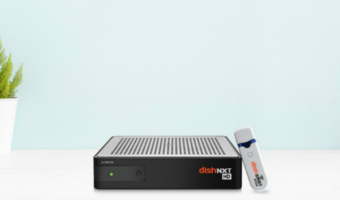 They can add all Indian and international channels to this platform and make total of 700 or more channels which dth players can’t afford on their Network. Jio TV will be world record digital entertainment medium if the can add maximum channels which we never seen in Indian tv distribution history..
Getting 2GB/day as Jio App Pack. I think this will also be for 4 days. Jio is always showering us with more data. How , still I not get it , How you ? Dont believe, nothing is given.